Adeleke, who represents Osun West Senatorial District at the National Assembly was the PDP’s candidate in the 2018 governorship election in Osun state. Two Chieftains of the All Progressives Congress (APC), Wahab Raheem and Adam Habeeb, had in 2018 barely few days to the governorship election in Osun State had dragged Adeleke to court, accusing him of not possessing the requisite educational qualification (secondary school certificate) to contest for the office of governor. 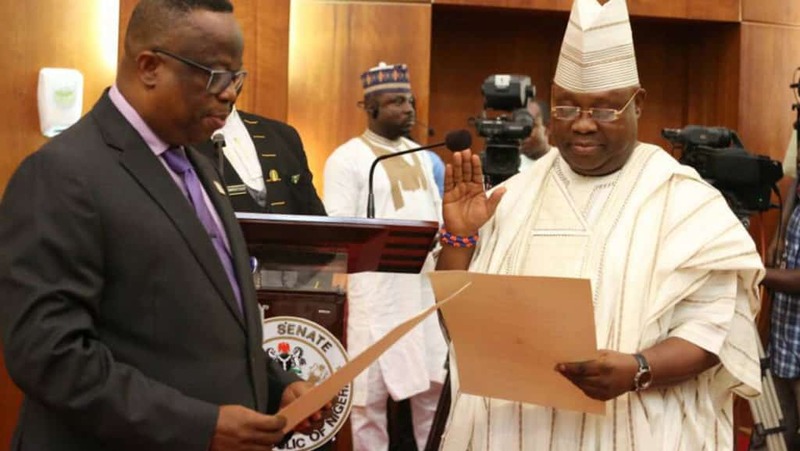 According to Justice Musa, while the court’s findings showed that Adeleke entered secondary school in 1976, there was no record to show that he actually graduated as his name was no longer seen in the school’s register from 1980. Justice Musa further stated that the result Adeleke attached to his form CF001 which he submitted to the Independent National Electoral Commission (INEC) was fake, as it was found to be different from the one presented to the court by the principal of Ede Muslim High School, Ede, Osun State. Meanwhile, Adeleke’s lawyer Nathaniel Oke SAN has faulted the judgment of Justice Musa on the grounds that the judge erred in law by going out of hiy way to source for evidence to arrive at his “unjust conclusion”. He submitted that the court erred particularly when it ignored WAEC evidence that Adeleke was educated up to Secondary School level as required by law.